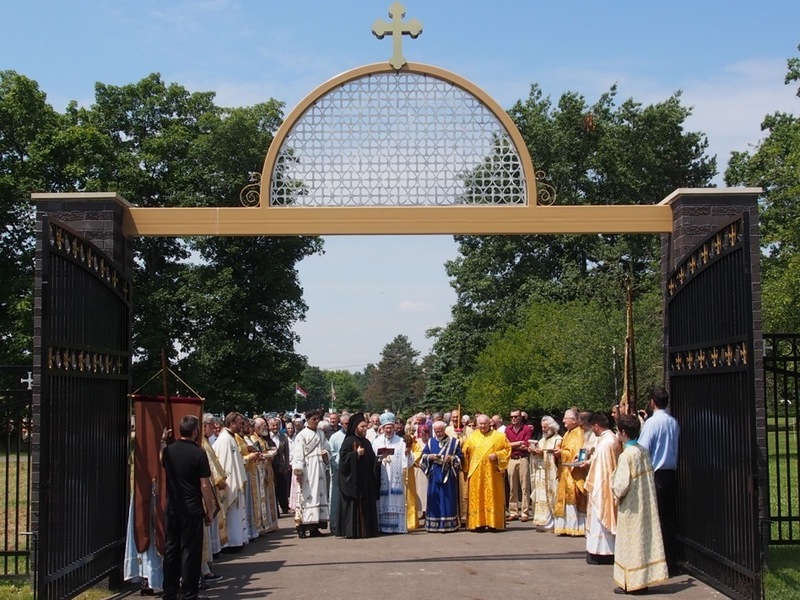 Richfield, Ohio - Monastery Marcha celebrated their patronal feast day, the Synaxis of the Archangel Gabriel, on Saturday, July 26th. The morning began with Holy Hierarchical Divine Liturgy celebrated by His Grace Bishop Dr Mitrophan, and His Grace Bishop Sava, along with 23 concelebrating priests and 2 deacons. 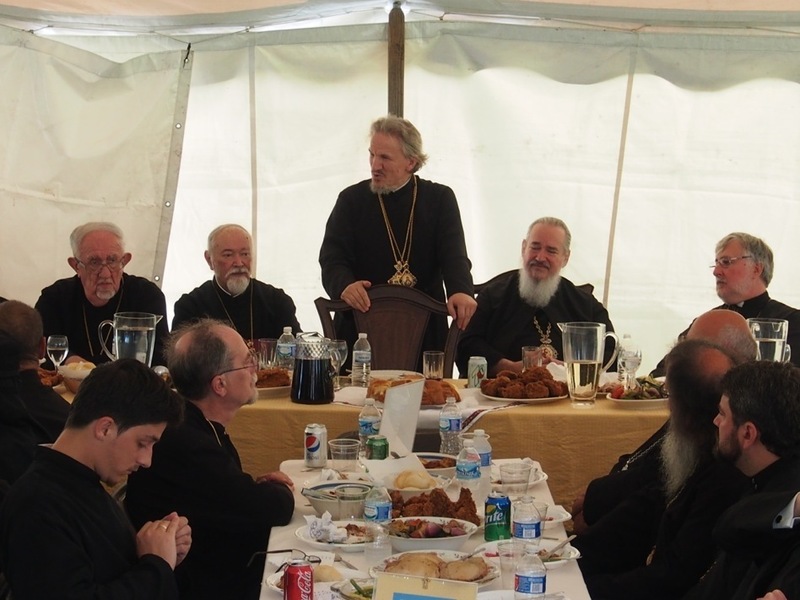 Immediately following Divine Liturgy, His Grace Bishop Dr Mitrophan blessed the Slavski Kolac. This year’s honored kumovi were the Very Reverand Stavrophor Stevo Rocknage and family. Services concluded with a festal procession around the church, and the blessing of the new cemetery. It was truly a day of great spiritual joy! 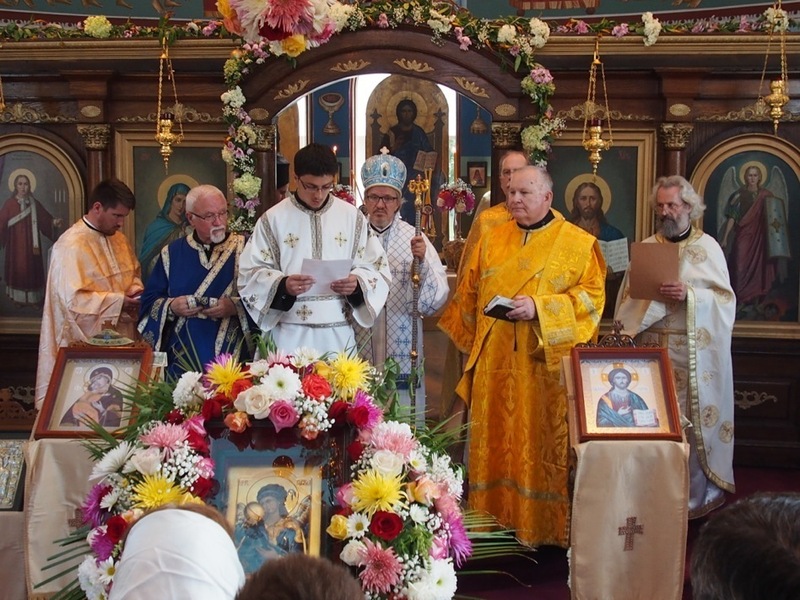 Many guests were in attendance including a multitude of faithful Orthodox Christians, and concelebrating priests and deacons from throughout the Serbian Eastern Diocese, ROCOR and the OCA. 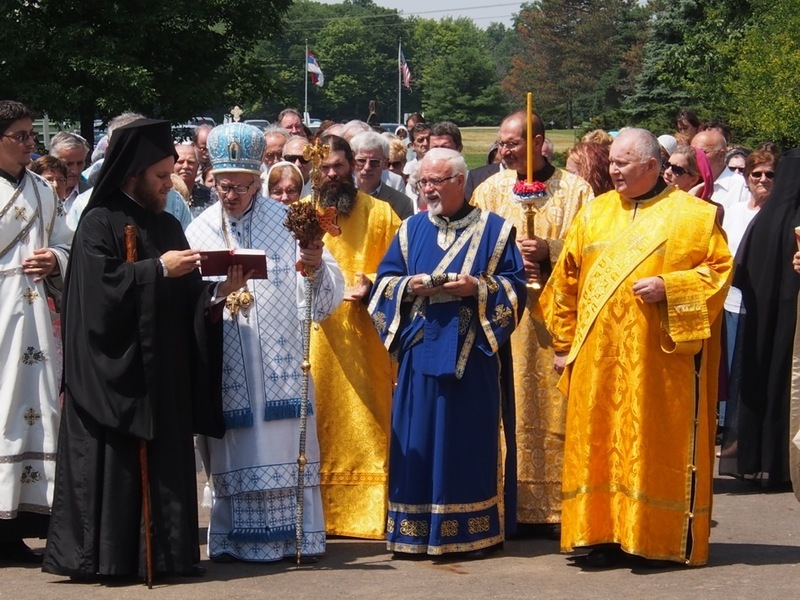 Monastery Marcha was also blessed to have visiting monastics join them for their Slava celebration. Mother Christophora from the Monastery of the Transfiguration in Ellwood City, along with two of her sisters, as well as two sisters from the Serbian Orthodox 'Nativity of the Mother of God' Monastery in New Carlisle, Indiana. The day concluded with a wonderful feast and fellowship. May God grant the entire monastic community at Monastery Marcha, including Mother Ana, Sister Anastasija, and Hieromonk Platon, many, many years!